There are times when it is necessary to monitor and/or record video using a hidden spy camera. Often, these require situation specific digital video cameras and systems. Security Camera King offers a huge selection of hidden spy cameras to meet all of your covert video capturing needs. Although digital video security camera systems reap an added benefit of deterring criminal activity, there are some applications where it may be necessary to record video with out be obvious. This is usually accomplished by disguising a very small video camera within the body of another object. The other object may or may not always function for the purpose that it appears it was manufactured. 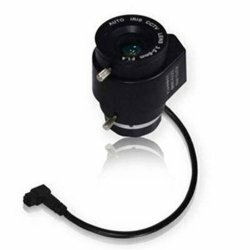 Modern technological developments in lenses, video image sensor chips, and Integrated Circuit (IC) chips have yielded the smallest of cameras. The smaller these digital video cameras are, the easier it is to disguise them as hidden spy cameras. In fact, technology has become so advanced in producing compact cameras that they can be hidden within a wristwatch (check out our product # HC-WATCH Hidden Watch Color Camera with Audio) or even an ink pen (checkout our product # HC-PEN). Hidden spy cameras may be either wireless or wired. For a vast selection of wireless spy cameras click on “Wireless Hidden Cameras” under the “Security Cameras” heading on the left side of our web page. For a large selection of hidden spy cameras that are wired or a standalone camera unit, click on the “Hidden Security Cameras” heading under the “Security Cameras” heading. However, if you need a camera and built in Digital Video Recorder or DVR, then click on the “Hidden Camera Systems” heading under the “Security Cameras” heading. Digital video cameras produce electronic data that is used to create a digital video file. Digital video files can be read and understood by Personal Computers (PC) and Macintosh (MACs) alike. Since digital video files are a type of computer file, they can be stored on memory chips designed for computer use. Recent advancements in the construction and development of memory chips have yielded chips with a greater memory capacity and a much smaller design. Hidden spy cameras take advantage of this technology to produce micro-camera systems with small size memory chips. The final product yields a self contained high-quality digital video camera as well as a DVR. The actual memory chip media for these cameras may be SD cards, Thumb Flash drives, or built-in memory chips that can transfer their data to a computer using a USB cable. These hidden spy cameras and hidden spy camera systems may or may not contain their own power supply, depending on the camera or system. For example our product # HC-SPRNK-WC Wired Color Sprinkler Hidden Camera requires an external power source. This camera is disguised to look just exactly like an emergency fire sprinkler head. However, like regular digital video cameras, this hidden spy camera requires power from a low-voltage Direct Current (DC) source. This is normally supplied by a power distribution center or a plug-in transformer/adapter. On the other hand, our Hidden Watch Color Camera with Audio previously mentioned, contains its own rechargeable battery and 4 Gigabytes of on board memory as well. 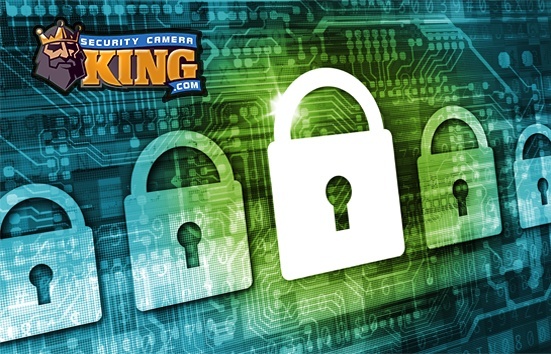 If you have any additional questions or would like to purchase a hidden spy camera, contact one of Security Camera Kings security experts today. You can reach them by clicking on the “Live Chat” button or by calling us at 866-573-8878 Monday through Friday from 9AM to 6PM.